Fruit teas are hot beverages that contain real fruits or infuse the sweetness of exotic fruits with earthy teas, herbs, and spices. While some types contain real tea leaves, you can enjoy herbal or noncaffeinated fruit teas at any time of the day, without worrying that the caffeine will keep you awake at night. Fruit teas offer an alternative to real teas or coffee, and you have a cornucopia of fruit essences to choose from. If you enjoy a hot cup of raspberry- or apple-infused tea, you're sipping your way to better health. Like the fresh fruit they are made from, fruit teas contain a variety of minerals, vitamins, and antioxidants. Additionally, drinking fruit teas that do not have added caffeine-containing teas is good for your bones. 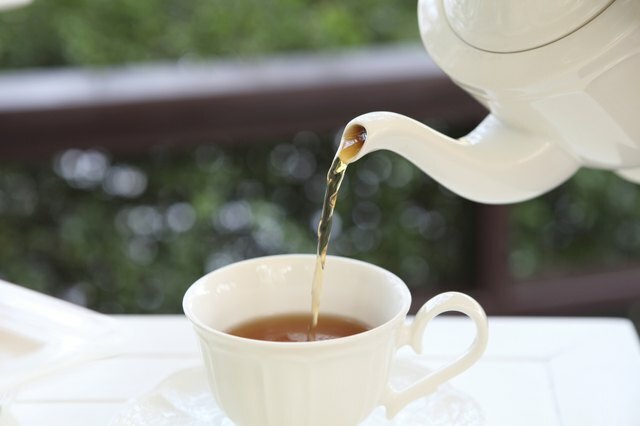 According to a study published in the "European Journal of Nutrition," a cup of very strong-brewed tea, which contains about 45 milligrams of caffeine, can cause 2 to 3 milligrams of calcium to leach from your body. Pure fruit teas are made from infusions of the fruit or flavors from the juice of fresh fruit such as apple, cherry, raspberry, blackcurrant, blueberry, orange, strawberry, and peach. Pure fruit teas are technically not teas; they are infusions of fruits, fruit extract or juice, also known as tisanes, You can make your own pure fruit tea by using concentrated fruit juice or steeping fresh fruit in hot water. The Harvard School of Public Health, however, advises that fruit juice is high in natural sugars and should be consumed in moderation. Although fruit teas are watered down, they still contain fruit sugars. Fruit teas may also contain a medley of dried fruit extract, herbs, and tea leaves. Any type of tea leaves in these combinations will add caffeine; choose decaffeinated varieties to get the flavor and texture of true tea without the caffeine. These teas include varieties such as Earl Grey, green tea, black tea, and oolong tea, but they are processed to remove the caffeine. 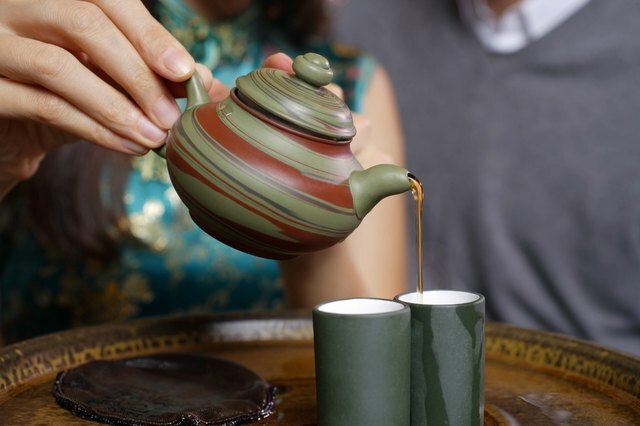 Fruit-infused teas include bergamot or citrus-flavored Earl Grey tea and blackcurrant black tea and apple-flavored green tea. Most true herbal teas do not contain caffeine, making them safe for pregnant and breastfeeding women. 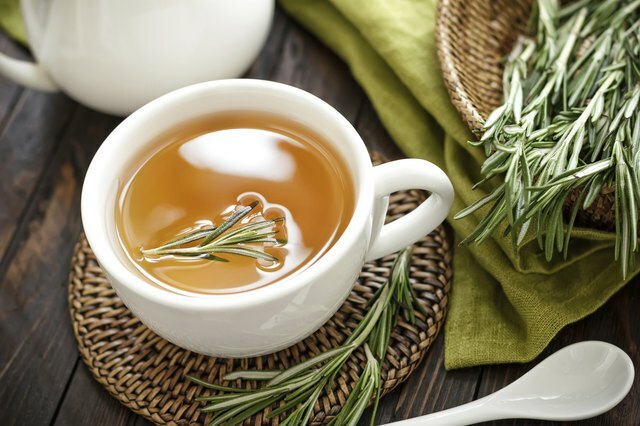 The American Pregnancy Association notes that herbal teas contain the roots, flowers, berries, seeds, and leaves from a variety of herbal plants. They do not contain actual tea leaves, making them caffeine-free. The fruit flavor in herbal teas comes from added fruit juices extracts or dried berries and peel. Check the ingredients on your fruit tea to ensure that it does not contain any type of real tea or yerba mate, which is made from the holly leaf and does contain caffeine.